It can alert you via email, SMS, or Pushover app (iOS and Android). 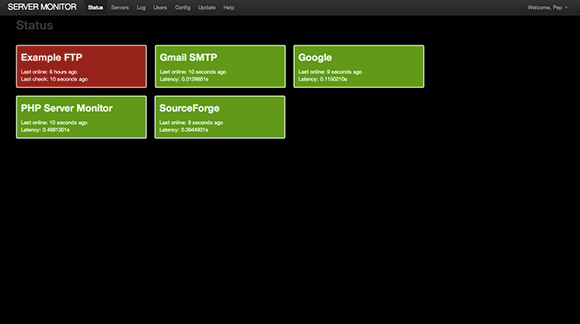 PHP Server Monitor includes a very clean status screen, with color coding to show up/down status as well as “last online” time. 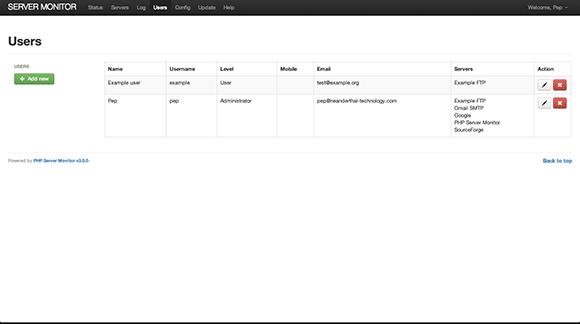 This is the Server overview page – from here you can add, edit, and view information about the servers you monitor. 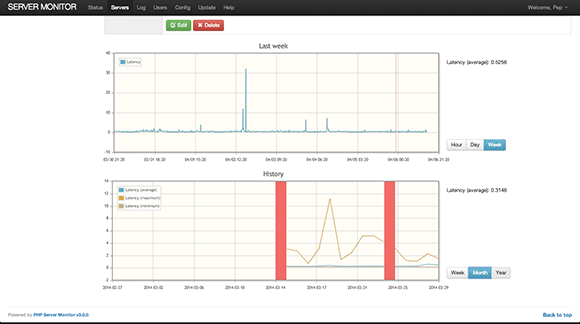 This screen shows the historical latency, as well as downtime for hour, day, week, month, and year. You can also set up multiple users, whether they receive email, SMS, or Pushover notications, and configure which users get which server’s notifications – useful for alerting team members and clients to issues. 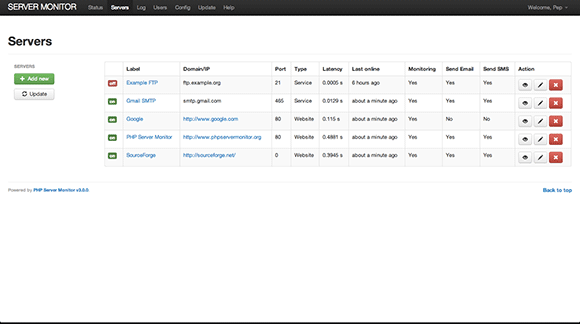 PHP Server Monitor is a free, open-source tool originally created by Pepijn Over. Like most open source projects, it’s grown rapidly and various people have worked on it along the way. It’s a mature, robust tool that you can set up and have running in just a few minutes. I hope you’ll give it a try, and let me know what you think!